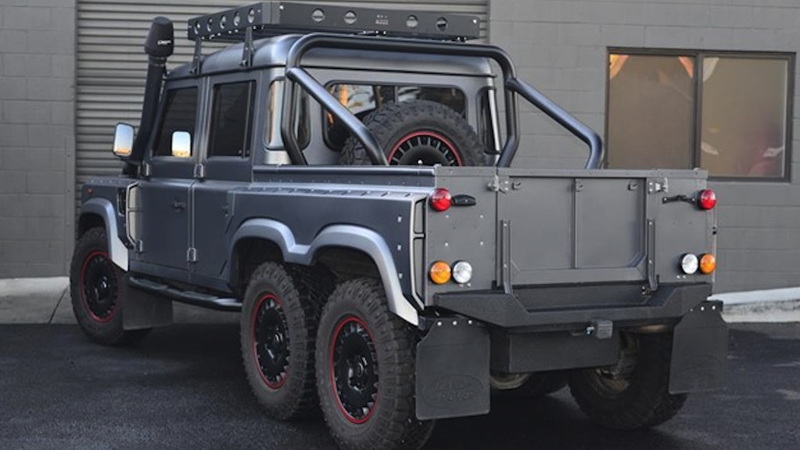 Maybe a Land Rover Defender 6x6 isn't your first choice for a vehicle, but for those with healthy checking accounts, this would make a fine weekend warrior. 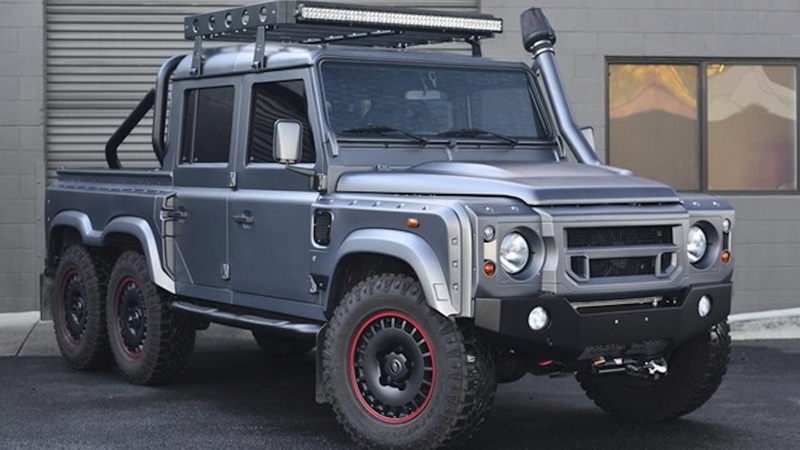 Listed for sale via duPont Registry is this Defender-based 6x6 SUV. 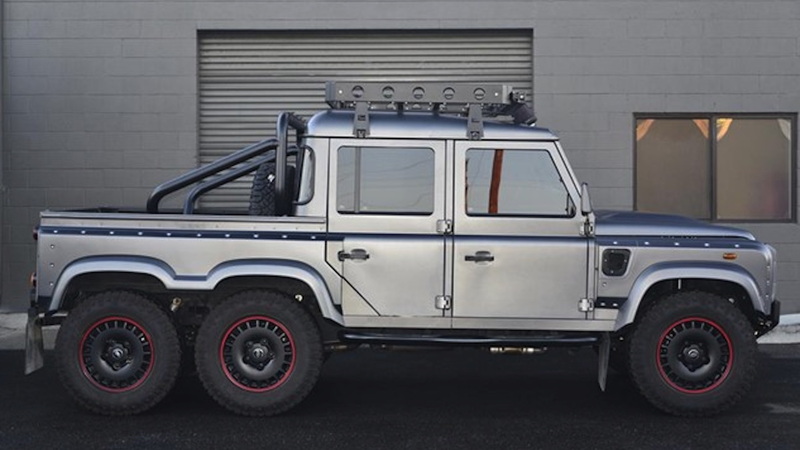 It comes from Ontario, Canada-based Urban Warrior, which builds the custom SUVs alongside a few other vehicles. The 6x6 is by far its wildest creation. Each model comes with the third axle as standard equipment and loads of other off-road upgrades to make the best of the unbeaten path. The SUV, which Urban Warrior calls the "Flying Huntsman," features a heavy-duty transfer case, twin Ford 9-inch differentials, heavy duty axles, and a Detroit TrueTrac gear drive with torque sensing to apply power to the wheels in the most efficient manner for the best traction. The extended frame is made from reinforced steel, while Fox shocks handle whatever dips and ditches drivers encounter. An 8,000-pound winch is included should the six-wheel beast somehow get stuck, or, more likely, should the driver want to pull out another stuck vehicle. The exterior also features a custom RDX body kit complete with matte gray paint to finish the rather sinister look. Of course, the mammoth thing sits on all-terrain tires. Under the hood lurks a supercharged Ford-sourced 5.0-liter V-8 engine. A Ford Racing supercharger kit cranks up the dial to 670 horsepower and should provide more than enough oomph when tackling the trails. Inside, it's nothing but luxury. 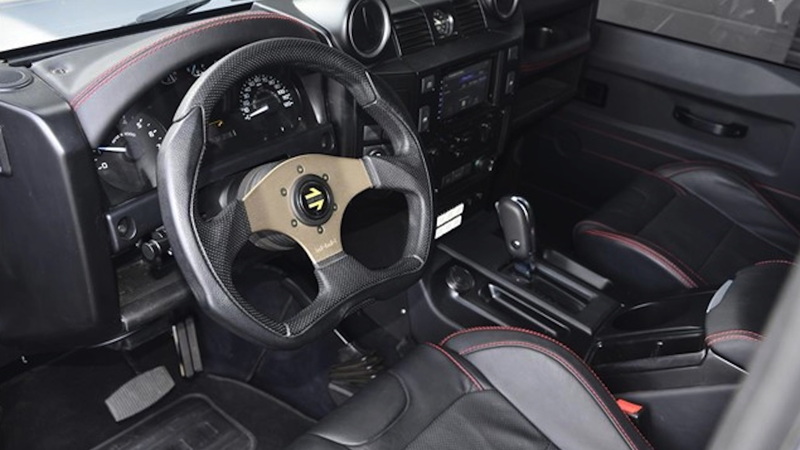 The Land Rover Defender 6x6 is loaded to the gills with features such as a heated windshield, an Alcantara headliner, heated and cooled Recaro bucket seats, and leather upholstery finished in black with red accent stitching. The seller says the SUV has never been titled and only has 807 miles on the odometer. Bring $350,000 if you think it deserves a spot in the garage.